Looks like the Liverpool players don’t give a quarter even in a friendly game of head tennis. 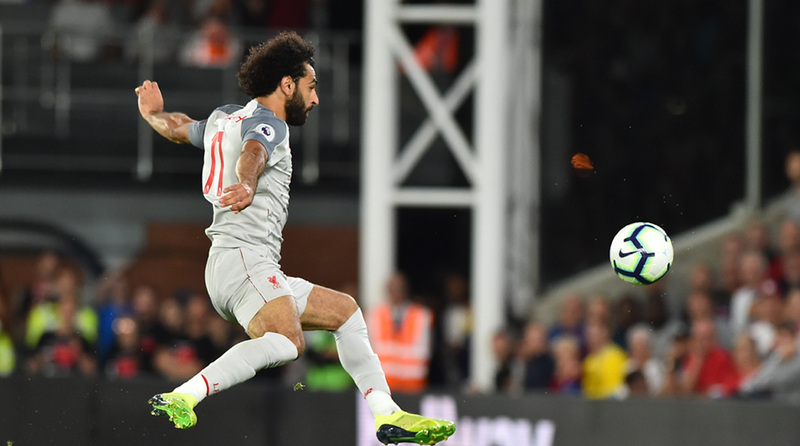 Naby Keita may have been bossing the midfield in his debut Premier League season, but it appears that the Liverpool midfielder still has some catching up to do when it comes to the world of head tennis as he was schooled by Mohamed Salah in training. The Liverpool squad seems to have a real togetherness about it and with two wins from as many games, the Reds are emerging as serious title contenders. They haven’t won the league since 1990, but it looks like Jurgen Klopp might just go all the way in his third full season with the Merseyside giants. Keita’s not the only newcomer who’s impressed in his debut season, for goalkeeper Alisson has looked like the real deal as Liverpool have registered shutouts in both their wins so far. They thrashed West Ham United 4-0 at Anfield on the opening weekend before following it up with a hard-fought 2-0 win at Crystal Palace to remain level on points with leaders and defending champions Manchester City. Brighton & Hove Albion, who stunned Manchester United 3-2 on Sunday, are their next opponents but at Anfield, chances of an upset are extremely slim. Apart from City, capital clubs Chelsea and Tottenham Hotspur, and Watford have made bright starts as well as both sides have collected maximum points from their opening round of fixtures. Liverpool host Brighton & Hove Albion on Saturday at 2200 IST.